I’m sure that you have seen the images and have heard the horror stories of massive 18 wheelers severely injuring and even killing people in catastrophic accidents. Here at Link & Smith, P.C., we sympathize with family members who have lost loved ones due to these kinds of accidents, which is why we want to help you receive the compensation you are entitled to for any damages or loss of life. We know that it will not replace the life of a loved one, but we want to do our part to help put your life back on track. If a friend or family member has been severely injured or killed in a tractor-trailer accident, it is important to contact an injury lawyer immediately. We represent our clients admirably, and want to do our part to recover any damages that are due to you after a catastrophic accident. Make sure to hire an attorney that requires no up-front payment. At Link & Smith, P.C., we work on a contingency-fee basis, meaning that you do not pay a dime until you receive a monetary award for your case. Once this happens, a percentage of earnings are then passed on to the attorney. Price should not be an issue when seeking a quality personal injury lawyer, which is why we use this system to benefit our clients. If you are not able to travel to our office to meet with us, we will come to you! Many of our previous clients were not able to visit our office for a consultation and, thus, we went to them. We are willing to go the extra mile in order to get you just compensation for your injuries. Contacting us is simple. All that you have to do is pick up the phone and dial 404-315-8840. 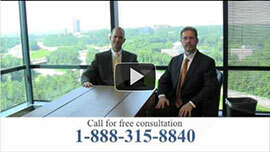 Our tractor-trailer accident lawyers are standing by to discuss your case. We believe that serious injuries deserve superior results. This entry was posted in Blog, Tractor-trailer accidents and tagged tractor-trailer accident lawyers. Bookmark the permalink.